It’s me, Lisa! 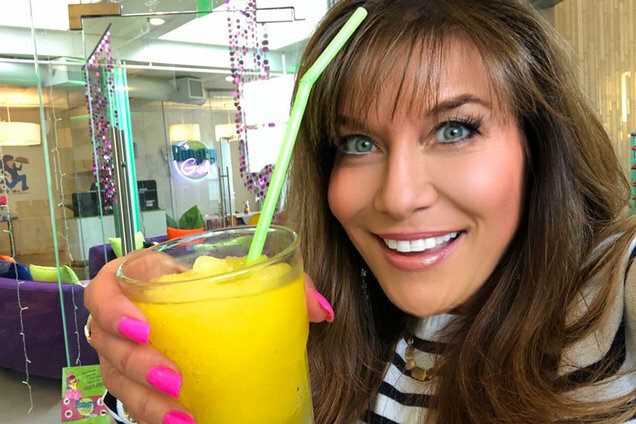 And today I’m sharing one of my FAVORITE Magic Bullet uses: my Pineapple Crushie Summer Slushies! Once the warm weather hits, I make this literally EVERY time we have get-togethers and parties at my house. I also love to bring a bottle of vodka and the secret ingredient (more on that below) to parties as a fun gift. Point me to the blender, because I’m happy to play bartender and make these for everyone! They’re always a hit. Check out the details below. And if you make ‘em, share your photos on social media with the #hungrygirlslushies hashtag! 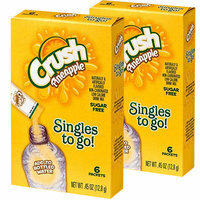 Crush Pineapple Singles to Go! These packets of sugar-free drink mix are the BEST. Sweet fruity flavor with NO weird aftertaste. These days, I mostly stick to natural sweeteners... but I make an exception for this low-cal find! As an occasional cocktail mixer, it fits perfectly into my 80/20 approach to healthy eating. (80% of the time I make nutritious choices; 20% of the time I loosen the reins!) I rarely see the Crush Singles in stores, so I always stock up on Amazon. By the way... If you prefer natural sweeteners, check out the True Lemon lineup of stevia-sweetened drink mixes. They’re really delicious! Amazon has a great sampler pack available. Okay, now grab your Magic Bullet or favorite blender, because here comes the recipe! 1 packet Crush Pineapple Singles to Go! Combine ingredients with 1/2 cup water in a small blender. Blend until slushy, adding more ice (or a small amount of water) as needed! HG Tip: Try it with the other Crush flavors too. Berry Punch, Strawberry, Grape... You can experiment all summer long! Happy National Mint Julep Day, May 30th! We don’t have a mint julep recipe, but we bet a round of Pineapple Frojitos will do the trick. Share the slushie love… Click “Send to a Friend” now!